Imports in the first 20 days of March fell 3.4%, from a year earlier. 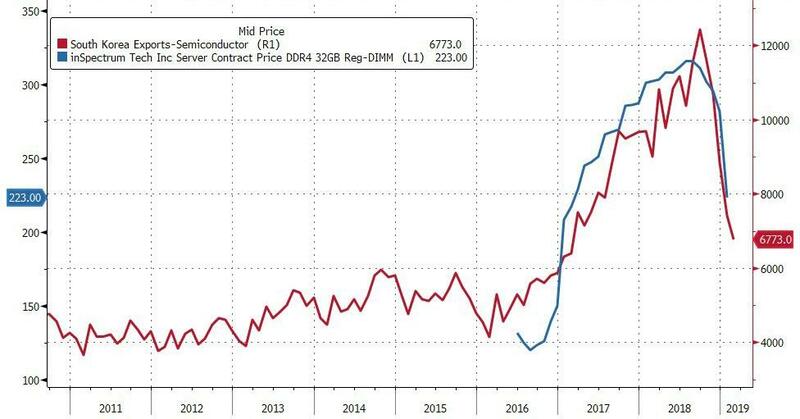 South Korea is one of the world’s key component suppliers in the tech sector and the continued slowdown in the expansion of semiconductor exports deepens concerns about the outlook for the global technology industry. As a reminder, South Korea releases its trade data earlier than most other major economies and is a key link in the global supply chain, making it a bellwether for trade. “Beijing is Seoul’s largest trading partner, with exports to China amounting to about 10 percent of Korea’s GDP,” said Bloomberg Economics’ Justin Jimenez. 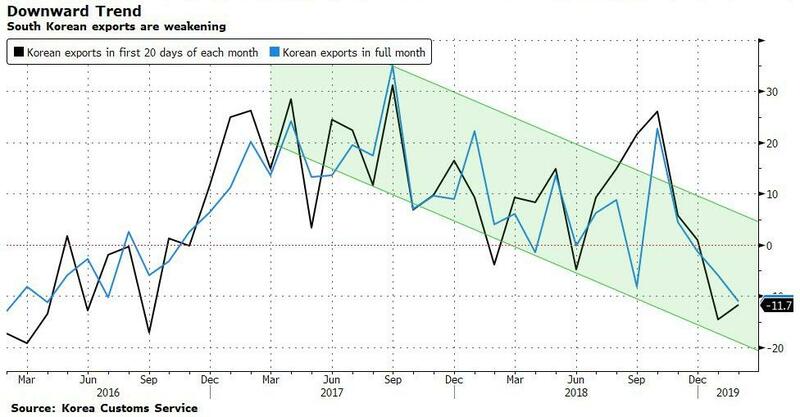 South Korea’s economic growth rate has been slowing and is likely to continue to do so unless there is a pickup in exports. A delegation from the International Monetary Fund said last week that Korea’s economy faces headwinds and should consider a “substantial” supplementary budget to meet its growth target of 2.6 percent to 2.7 percent for this year. Who Really Built America’s Massive Pyramid Of Debt?